Summary: Sylvie and Jules are sisters who have also always been best friends, even closer because their mother died suddenly when they were both quite young. Sylvie’s greatest wish is to run fast, although she never can articulate why she wants this so much. One day she goes running into the woods, racing to get to a dangerous part of the river the girls’ father has warned them about, and she disappears. 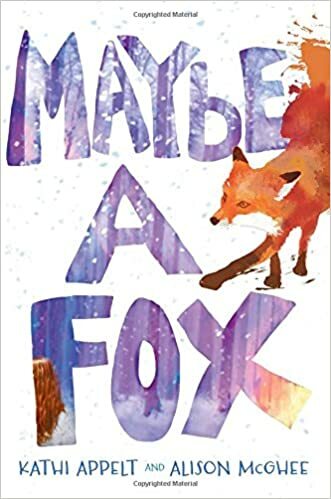 While Jules and her father are still reeling from grief, in another part of the woods, a fox cub is born, a rare animal that is connected to a human spirit. The book alternates between Jules’ story and the fox’s…until one fateful evening when the two of them are brought together. 272 pages; grades 4-7. Pros: A beautifully crafted book, filled with sadness, hope, grief, and healing. I expect this one to be on the short list for the Newbery. Cons: Every main character in the book is grieving for someone, making it a bit of a heavy read.